* Friends and God: Personal reflections from a selection of Friends. Michael S. Glaser is a professor emeritus at St. Mary’s College of Maryland and a recipient of the college’s Homer L. Dodge Award for excellence in teaching. He is most closely associated with Patuxent Meeting in Calvert County, Md. A response to a recent article on gun play. Kevin Inouye lives in Richmond, Va. His website is at kevininouye.com. Sometimes God can be found on the porch swing. Sarah Katreen Hoggatt has authored several books including In the Wild Places. A freelance writer, speaker, editor, and spiritual director with a passion for ministering to fellow souls, she holds a masters degree from George Fox Evangelical Seminary. Sarah lives in Salem, Ore., and is a member of RiversWay Meeting in Tigard, Ore. Includes audio reading. We need to adapt models of God that reconnect us to the burning oneness binding everything. Bruce Birchard served as general secretary of Friends General Conference from 1992 to 2011. Since retiring, he works with Quaker Voluntary Service as a founding board member and as a member of its Philadelphia support committee. He also serves on the board of Right Sharing of World Resources. He enjoys babysitting his one-year-old grandson on a regular basis. The Inner Light is not a book, a steeple, a bell, or a key. 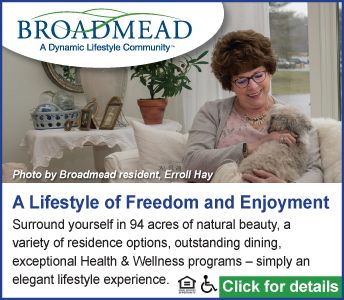 Breeze Richardson is a lifelong Midwestern Friend with membership at Fifty-Seventh Street Meeting in Chicago, Ill. She and her family have recently relocated to Lawrence, Kans., where they are now attending Oread Meeting. Breeze serves as a trustee for Friends Publishing Corporation, and has written several times for Friends Journal over the past 15 years. When definitions fail, we can recognize characteristics of God. Includes author audio reading. Jane O'Shields-Hayner is a writer and visual artist. She has a history teaching art, and she currently practices occupational therapy with a specialty in home healthcare. Jane and her husband are longtime members of Inland Valley (Calif.) Meeting and are lifelong social activists. They have two young children and two adult daughters.